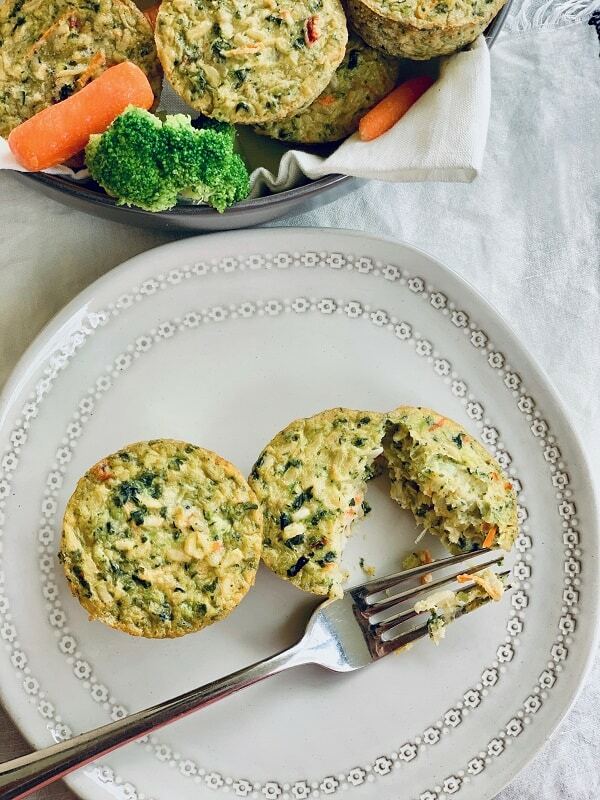 Savory breakfast muffins made with vegetables and eggs are the perfect way to start your day or pack some nutrients into a quick side dish or tasty snack. If you loved the breakfast to go ideas I talked about last week, then you don’t want to miss this. I’m all about the Garden Lites sweet muffins, but sometimes a girl needs something savory. 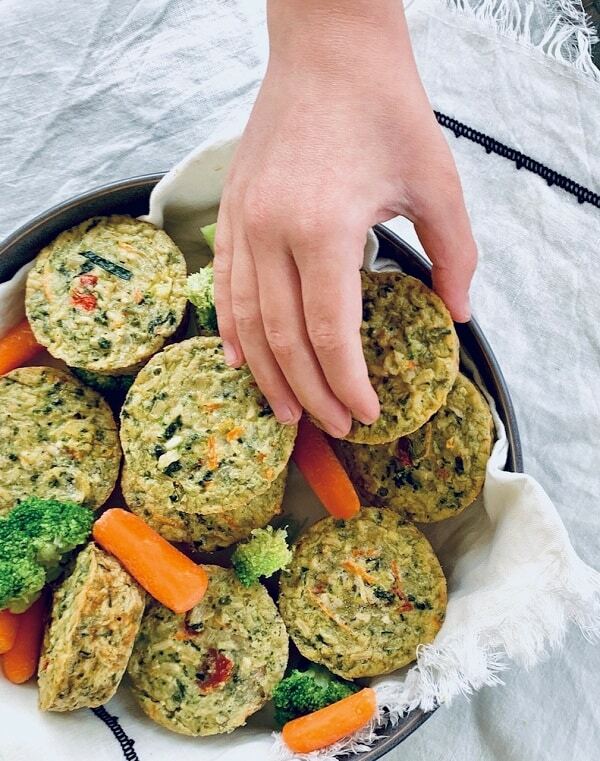 I’m calling these veggie cakes savory breakfast muffins because that’s when I enjoy them, but you can bet they are delicious any time of day. If you like quiche, you are going to love these veggie cakes. In fact, the first time my husband tried them he was shocked to learn they weren’t quiche and actually don’t even have cheese! 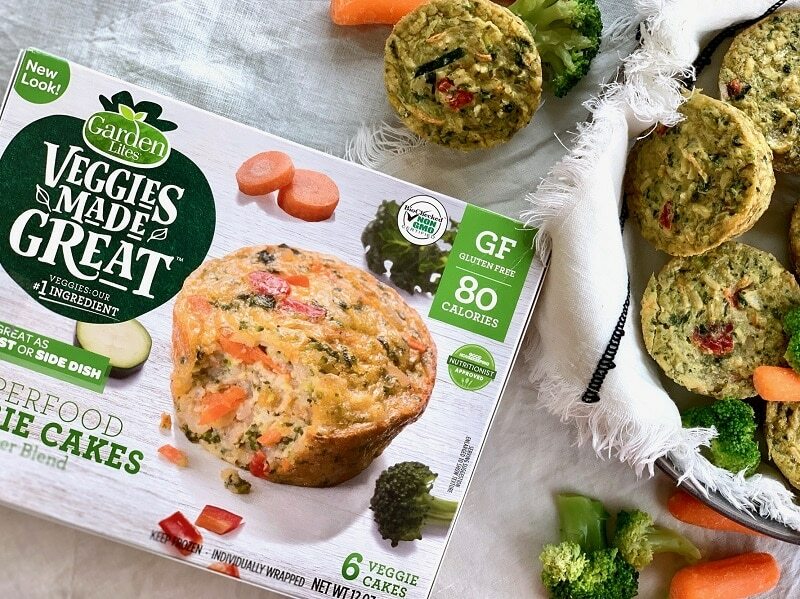 Like their sweet counterparts, Garden Lites Superfood Veggie Cakes are delicious and gluten-free. They include veggies like broccoli, carrots, onions and red peppers and aren’t filled with additives. I love that the first ingredient on every box is a vegetable. Plus, these also include eggs and spices and they are so good! Because I eat a little differently each day on the Faster Way to Fat Loss plan I like having a few options on hand for easy snacking. 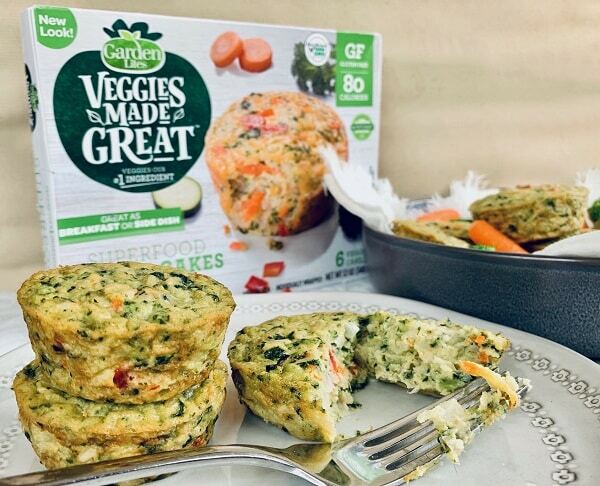 Garden Lites Veggie Cakes make the perfect snack for me because the breakdown of macros fits into just about any day. Each muffin has 4g Fat, 7g Net Carbs, and 2g Protein. If you follow Weight Watchers, one serving is 2 Smart Points. Sometimes you need a quick dinner and while it’s easy to run through a drive through, one of my favorite healthier options is to grab a rotisserie chicken from the deli, a box of Superfood Veggie Cakes and a frozen package of green beans. 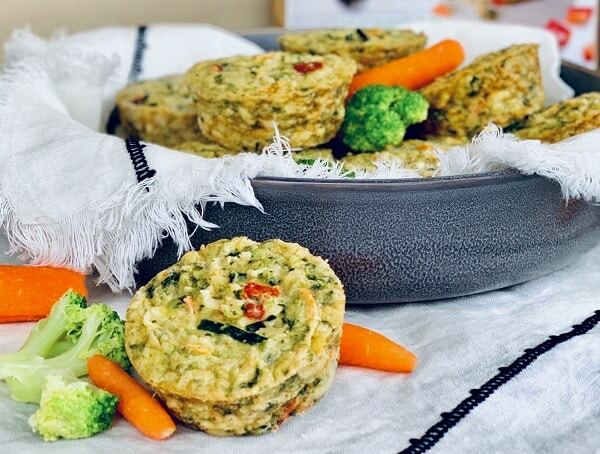 If you like serving corn bread or rolls with your dinner, try swapping them out for some veggie cakes! They make the perfect substitute and they are so full of flavor. In the time it takes to heat up the green beans and veggie cakes in the microwave, dinner is ready and everyone is getting some nutrients. Make these savory breakfast muffins one at a time or by the box. They are individually wrapped and only take about 30 seconds to heat up. If you want to check them out, grab a coupon to save and find a store near you. Between these and the other yummy muffin choices, I’m pretty much hooked on Garden Lites.